2008 BMW 328I Carfax Certified No Accidents Reported.....SUPER SLICK 3 Series BMW ready for its new home! This is a really clean ride inside and out and drives and runs out great. BMW is a true performance machine and is known for quality and performance. Equipped with all power options, leather seats, sunroof, alloy wheels, etc. Come and drive this car and see for yourself how affordable it is to drive in style!!! We have been selling quality used cars and trucks from the same Boones Creek location for over 40 years, no hassles and never any hidden fees. 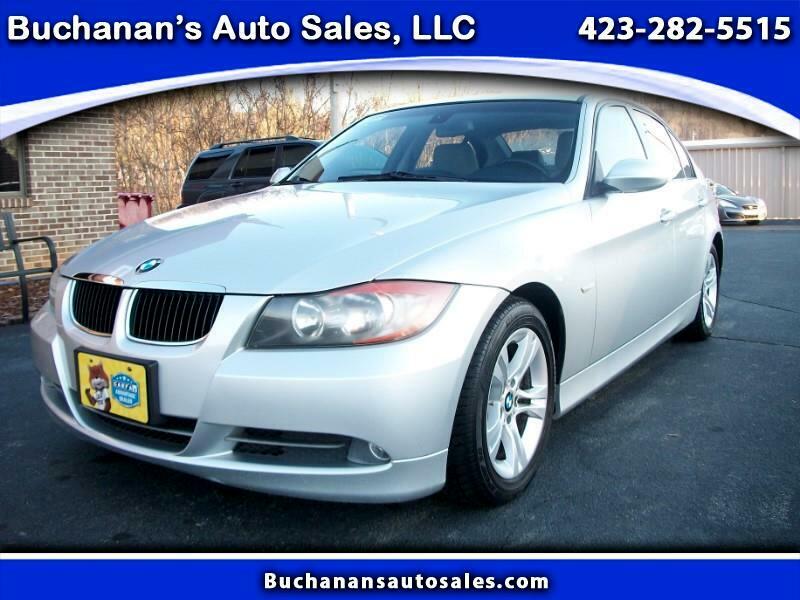 Visit Buchanan's Auto Sales, LLC online at Buchanansautosales.com to see more pictures of this vehicle or call us at 423-282-5515 today to schedule your test drive.